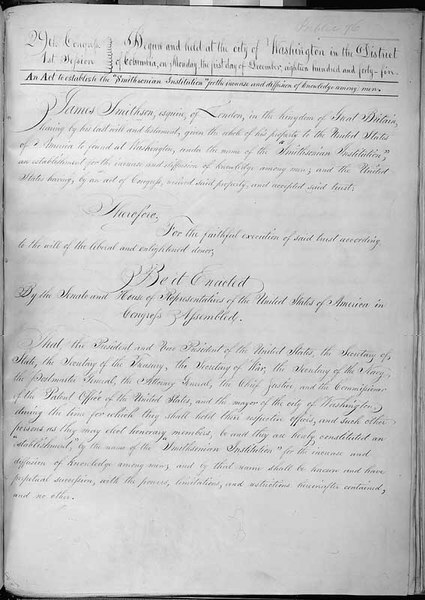 “Act of Congress establishes the Smithsonian Institution,” Histories of the National Mall, accessed April 22, 2019, http://mallhistory.org/items/show/162. James Smithson, an English scientist, specified in his will that if his nephew, Henry J. Hungerford, died without heirs, his estate should be given to the United States to found an institution "for the increase and diffusion of knowledge." Smithson died in 1829 and his nephew died in 1835, without heirs, leaving $508,318 to the people of the United States. 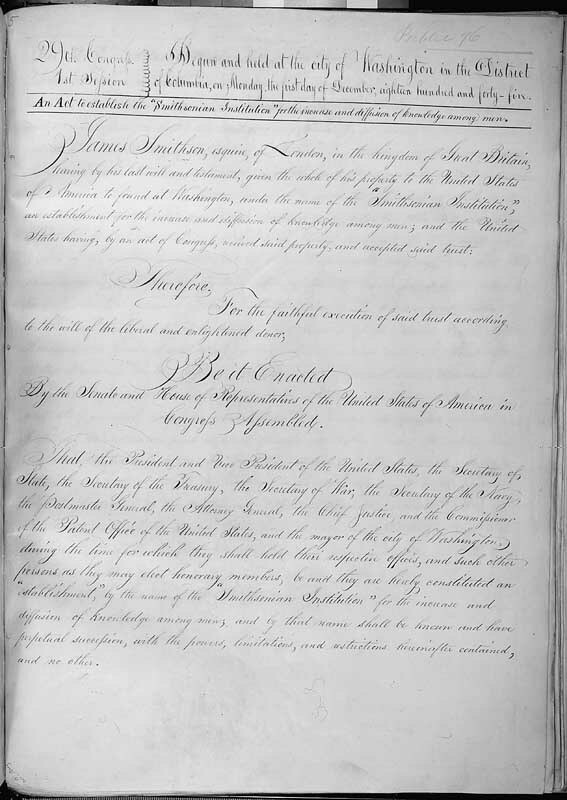 In August 1846, President James K. Polk signed an act creating the Smithsonian Institution, to be established in Washington, DC, either in a building of its own or in a wing of the Patent Building.